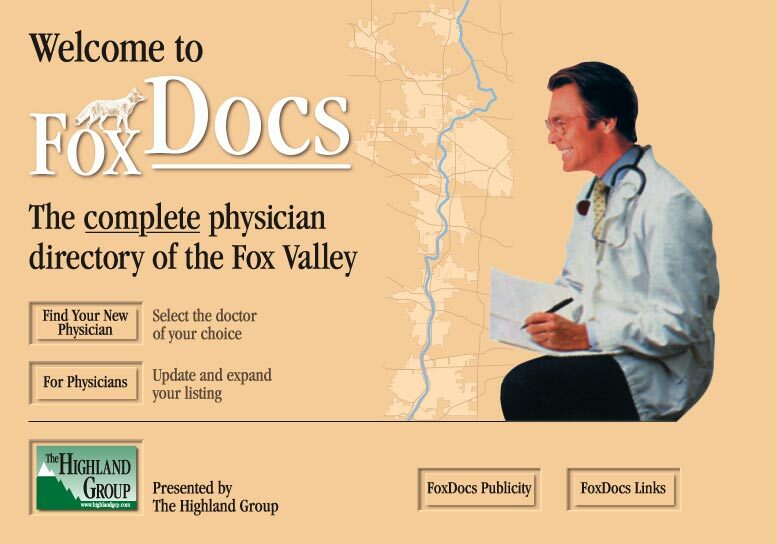 FoxDocs is the complete physician directory of the entire Fox River Valley, from McHenry to Montgomery. You'll find every medical specialty that provides services to the general public represented, along with maps and website links to all area hospitals. FoxDocs is presented as a free service by The Highland Group, the region's preferred provider of custom medical website design and graphic arts services.